This is a market scp framework with icons ppt powerpoint presentation layouts. This is a three stage process. The stages in this process are performance management, structure conduct performance, performance review and analysis. Concern gets created by our Market Scp Framework With Icons Ppt Powerpoint Presentation Layouts. Folks feel inclined to care for the disabled. 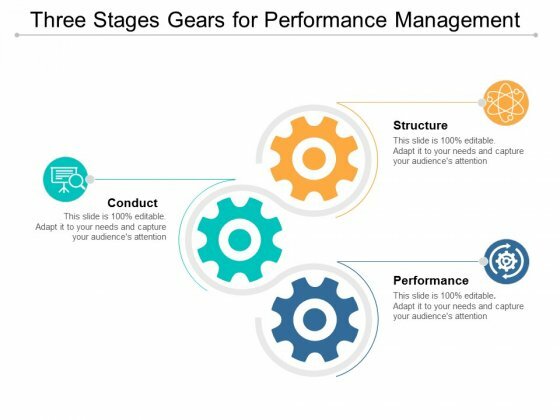 This is a three stages gears for performance management ppt powerpoint presentation ideas master slide. This is a three stage process. The stages in this process are performance management, structure conduct performance, performance review and analysis. Hardliners ease off due to our Three Stages Gears For Performance Management Ppt Powerpoint Presentation Ideas Master Slide. They accept the importance of a balanced approach. This is a business analysis life cycle ppt powerpoint ideas. This is a eight stage process. 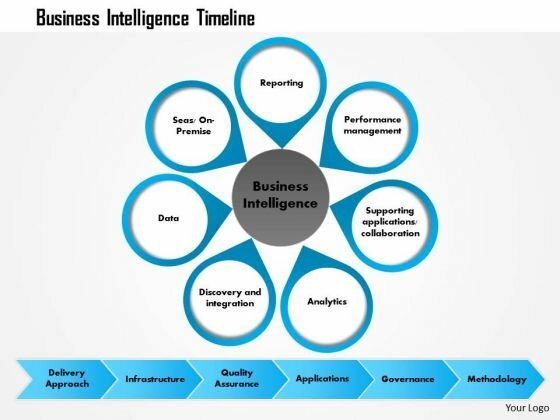 The stages in this process are bi assessment, design data model, data warehouse, data mining, enterprise reporting, performance management, predict analysis, maintenance and support. 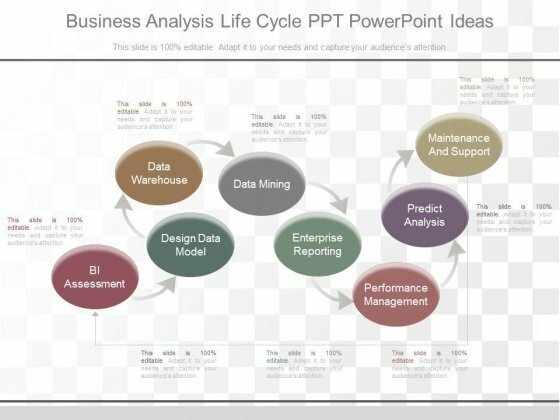 Get the approval of your audience with our Business Analysis Life Cycle Ppt Powerpoint Ideas. Dont pass up this opportunity to shine. This is a communication and change management ppt slides. This is a ten stage process. The stages in this process are development program, kip dashboard, communication and change management, performance management, handy hashtags, managed service, continuous learning, evaluation improvement plan, work style analysis, discover information. 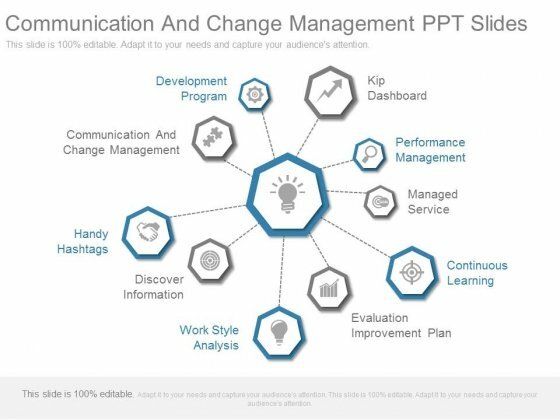 Conduct yourself creditably with our Communication And Change Management Ppt Slides. They will let you dominate the dais. 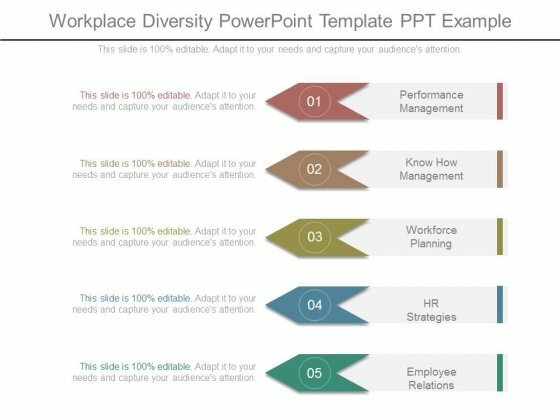 This is a workplace diversity powerpoint template ppt example. This is a five stage process. The stages in this process are performance management, know how management, workforce planning, hr strategies, employee relations. You will be held in high esteem. Use our Workplace Diversity Powerpoint Template Ppt Example as a coat-of-arms. This is a business case performance management ppt slides. This is a four stage process. The stages in this process are marketing, business. Say farewell to differing opinions. 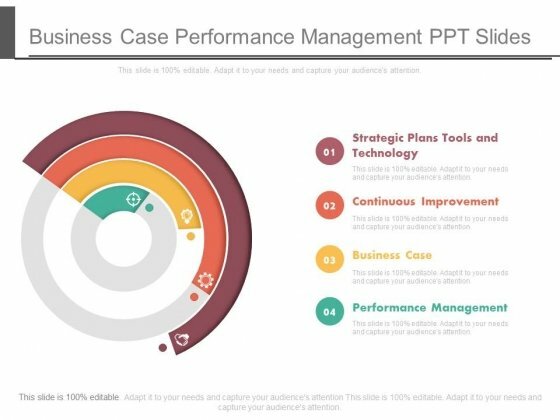 Get all on board with our Business Case Performance Management Ppt Slides. This is a dashboards and scorecards comparison diagram ppt slides. This is a three stage process. The stages in this process are dashboard, balanced scorecard, differences, performance management, periodically monthly, gps shows how will arrive, is used for, is update, in automobile it is, performance monitoring, in real time, automobile dashboard shows how your car is operating. 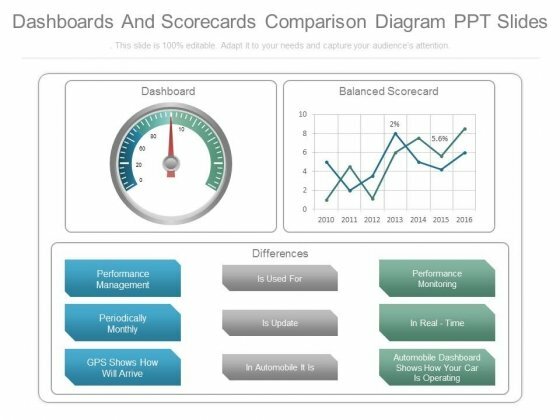 Decide your own fate with our Dashboards And Scorecards Comparison Diagram Ppt Slides. Create your destiny with your thoughts. 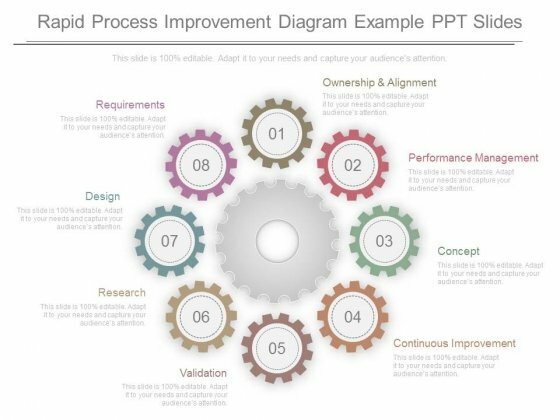 This is a rapid process improvement diagram example ppt slides. This is a eight stage process. The stages in this process are ownership and alignment, performance management, concept, continuous improvement, validation, research, design, requirements. Our Rapid Process Improvement Diagram Example Ppt Slides are really compliant. They adapt to any conditions you set. 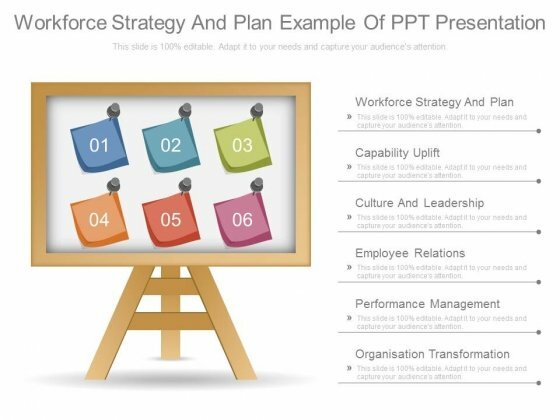 This is a workforce strategy and plan example of ppt presentation. This is a six stage process. The stages in this process are workforce strategy and plan, capability uplift, culture and leadership, employee relations, performance management, organisation transformation. Make your brainstorming effective with our Workforce Strategy And Plan Example Of Ppt Presentation. Churn out ideas to act upon. 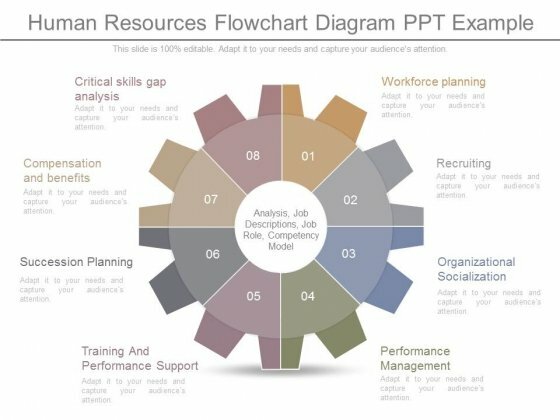 This is a human resources flowchart diagram ppt example. This is a eight stage process. The stages in this process are critical skills gap analysis, compensation and benefits, succession planning, training and performance support, performance management, organizational socialization, recruiting, workforce planning, analysis job descriptions job role competency model. You'll find your thoughts have an affinity for our Human Resources Flowchart Diagram Ppt Example. Almost like they are made for each other. This is a business governance and control framework powerpoint shapes. This is a five stage process. The stages in this process are board and committees, delegated authority, people and value, politics and procedures, risk assessment, control activities, strategic planning, performance management, internal audit. 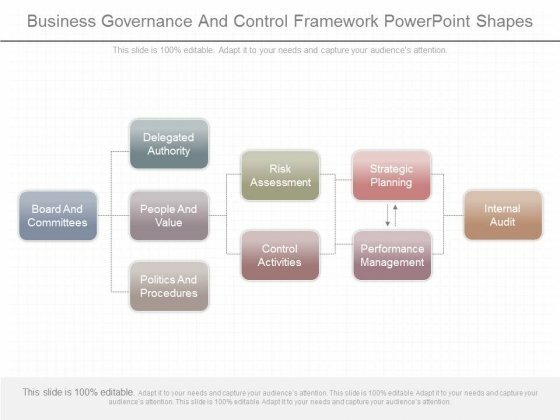 Cash in on a bargain with our Business Governance And Control Framework Powerpoint Shapes. Dont pass up this opportunity to shine. Get The Domestics Right With Our Business Diagram performance management system PowerPoint PPT Presentation Powerpoint Templates. Create The Base For Thoughts To Grow. 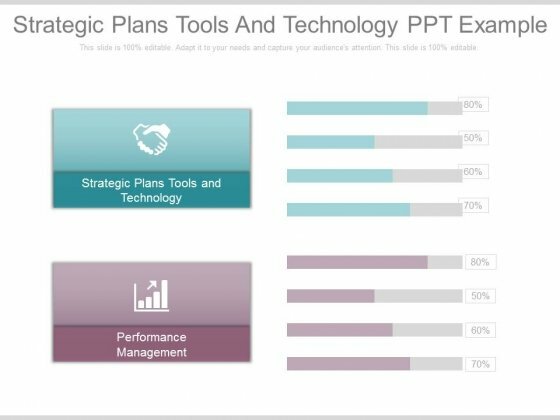 This is a strategic plans tools and technology ppt example. This is a two stage process. The stages in this process are technology, business, finance, marketing. With our Strategic Plans Tools And Technology Ppt Example duds are few and far between. But even they give you a bang for your buck. This is a sales method powerpoint slide presentation examples. This is a six stage process. The stages in this process are sales leadership, develop account plan, sales process, sales method, sales management, performance management. 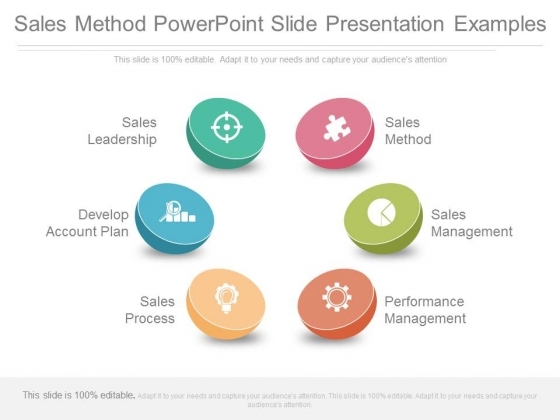 Our Sales Method Powerpoint Slide Presentation Examples will cherish your thoughts. They give your ambitions due care. 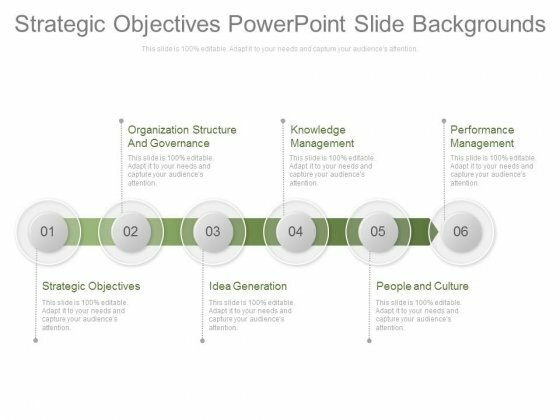 This is a strategic objectives powerpoint slide backgrounds. This is a six stage process. The stages in this process are organization structure and governance, knowledge management, performance management, strategic objectives, idea generation, people and culture. Classify goals with our Strategic Objectives Powerpoint Slide Backgrounds. Download without worries with our money back guaranteee. This is a strategic relationship powerpoint presentation. This is a four stage process. The stages in this process are strategic relationship, performance management, strategic leadership, market innovation. 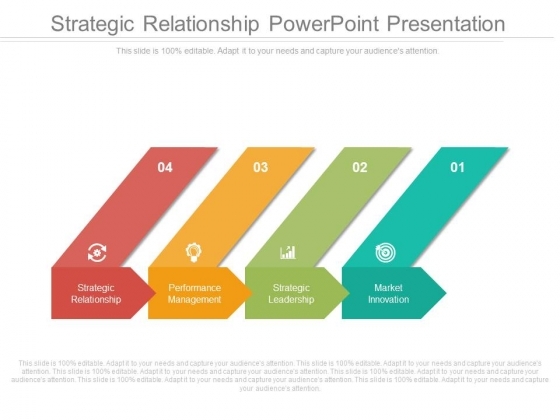 Evoke dormant ambitions with our Strategic Relationship Powerpoint Presentation. Encourage desires to develop anew. This is a cross cultural management ppt templates. This is a four stage process. The stages in this process are innovation process, service excellence, performance management, portfolio strategy. 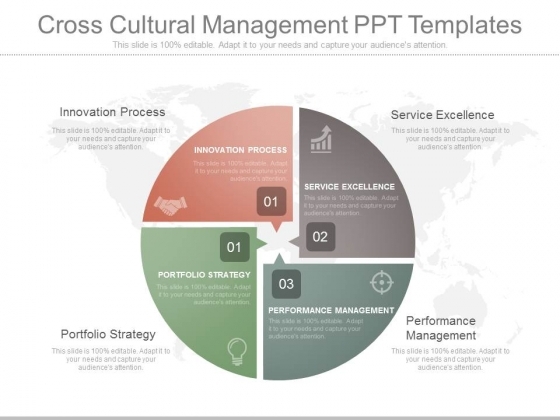 Adopt adventure with our Cross Cultural Management Ppt Templates. Discover new avenues for your thoughts. This is a workforce planning and analytics timeline example of ppt. This is a four stage process. The stages in this process are workforce planning and analytics, talent management, application lifecycle management, performance management. 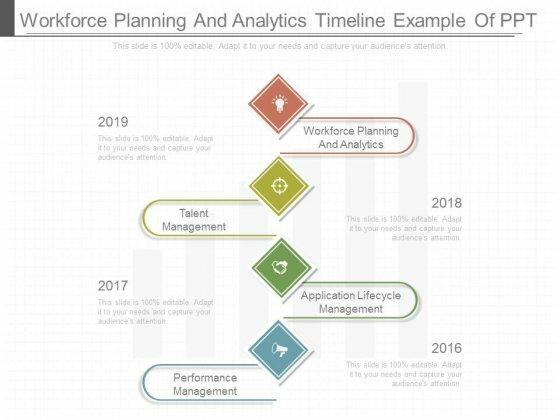 Our Workforce Planning And Analytics Timeline Example Of Ppt always show a full face. Get a complete view from any angle. 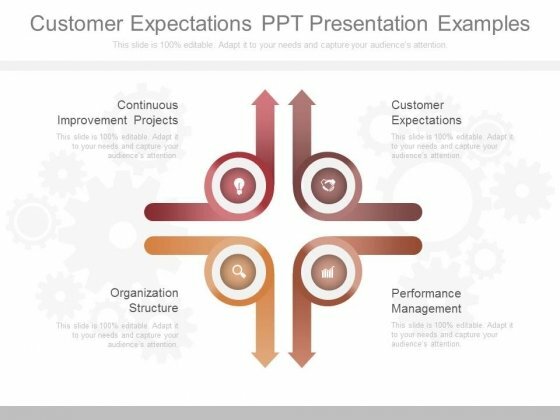 This is a customer expectations ppt presentation examples. This is a four stage process. The stages in this process are continuous improvement projects, customer expectations, organization structure, performance management. Our Customer Expectations Ppt Presentation Examples are clear to even the farthest. They are designed for distance. This is a enterprise system architecture ppt powerpoint topics. This is a eight stage process. The stages in this process are budget management, program project management, information technology, acquisition, management, capital planning, planning workforce, performance management. 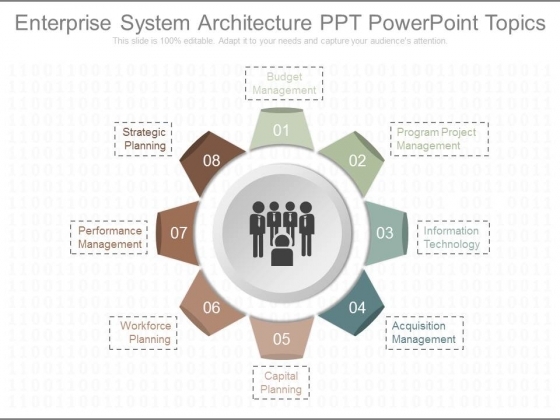 Let them breathe in with our Enterprise System Architecture Ppt Powerpoint Topics. They will find your ideas easier to fathom. 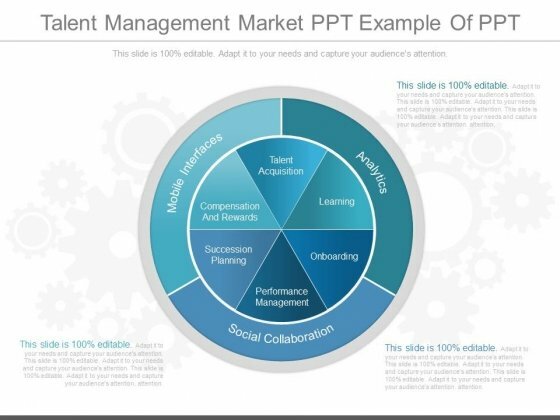 This is a talent management market ppt example of ppt. This is a three stage process. The stages in this process are mobile interfaces, talent acquisition, compensation and rewards, succession planning, performance management, onboarding, learning, social collaboration, analytics. 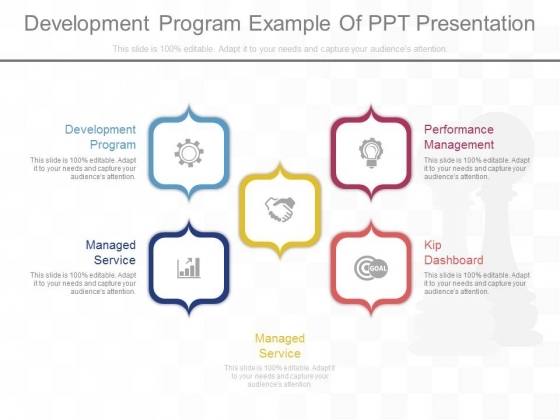 Our Talent Management Market Ppt Example Of Ppt are very enticing. Get your audience craving for more. This is a best practices powerpoint presentation examples. This is an eight stage process. The stages in this process are enabling better, business decisions, best practices, quality management, performance management, working capital fund planning, asset management. 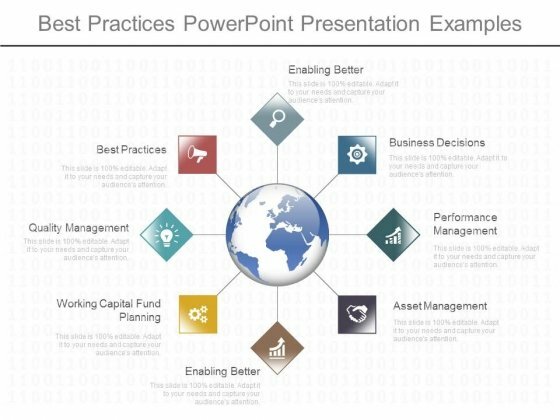 Mentor teams with our Best Practices Powerpoint Presentation Examples. Download without worries with our money back guaranteee. This is a sample competency development model ppt powerpoint show. This is a six stage process. The stages in this process are professional development, performance management, assessments, rewards compensation, succession planning, recruitment and selection. 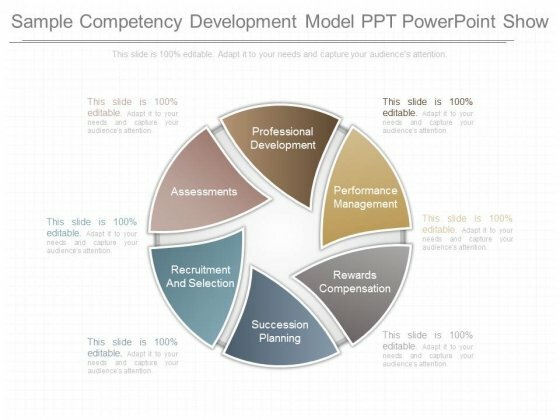 Find the perfect fit with our Sample Competency Development Model Ppt Powerpoint Show. Try us out and see what a difference our templates make. 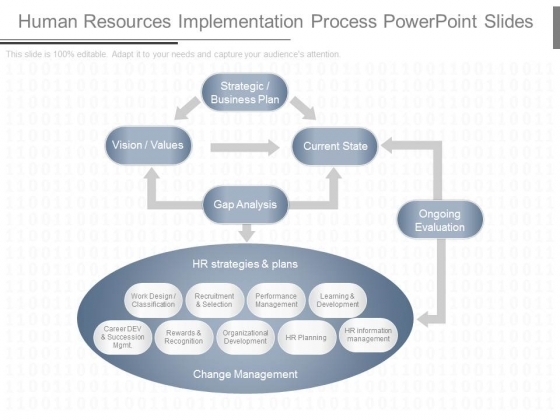 This is a human resources implementation process powerpoint slides. This is a six stage process. 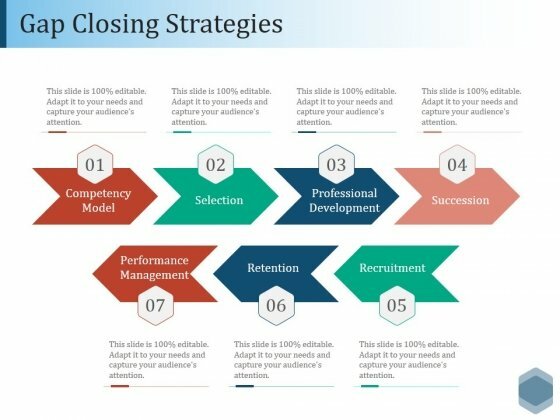 The stages in this process are strategic business plan, vision values, current state, gap analysis, ongoing evaluation, work design classification, recruitment and selection, performance management, learning and development, career dev and succession mgmt, rewards and recognition, organizational development, hr planning, hr information management. Fear no one with our Human Resources Implementation Process Powerpoint Slides. Try us out and see what a difference our templates make. This is a online resource management system presentation visuals. This is a twelve stage process. The stages in this process are hr management, payroll management, recruitment management, training management, insurance management, performance management, organization change management, policies and forms publishing, organization survey management, employee suggestion management, news letters opinion polls and events, employee and manager self service ess and mss, human resource management system. 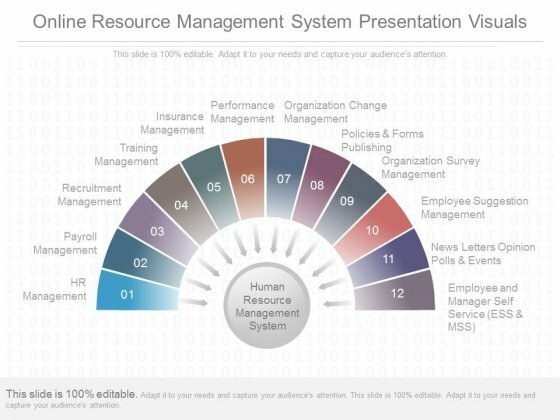 Emphasise core aspects with our Online Resource Management System Presentation Visuals. Boil it down to the absolute basics. 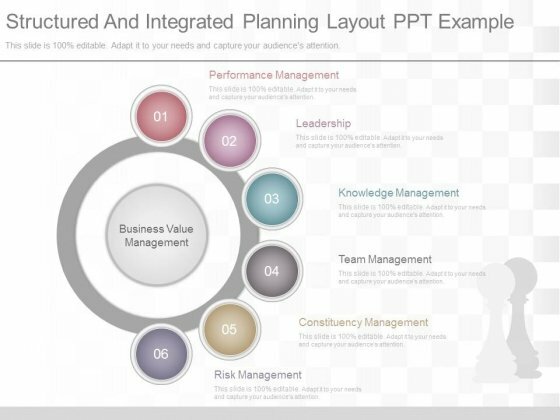 This is a structured and integrated planning layout ppt example. This is a six stage process. The stages in this process are performance management, leadership, knowledge management, team management, constituency management, risk management, business value management. Present a building with our Structured And Integrated Planning Layout Ppt Example. Just download, type and present. This is a talent management strategy diagram ppt powerpoint guide. This is a three stage process. The stages in this process are talent acquisition, talent development, succession planning, performance management, organizational results. 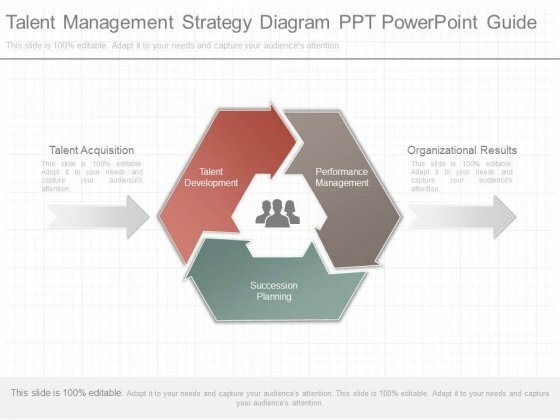 Holster your thoughts in our Talent Management Strategy Diagram Ppt Powerpoint Guide. You'll be faster on the draw. 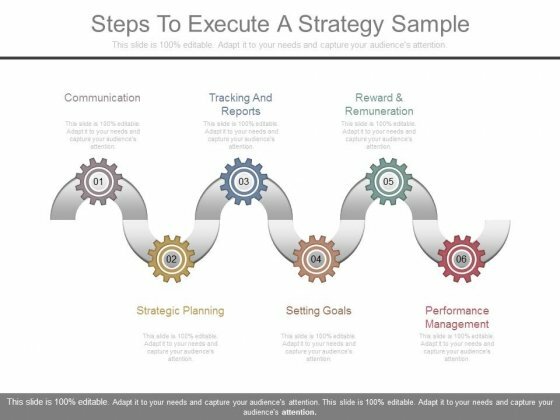 This is a steps to execute a strategy sample. This is a six stage process. The stages in this process are communication, tracking and reports, reward and remuneration, strategic planning, setting goals, performance management. Give a colorful facing to your thoughts with our Steps To Execute A Strategy Sample. Make it more alluring for your listeners. 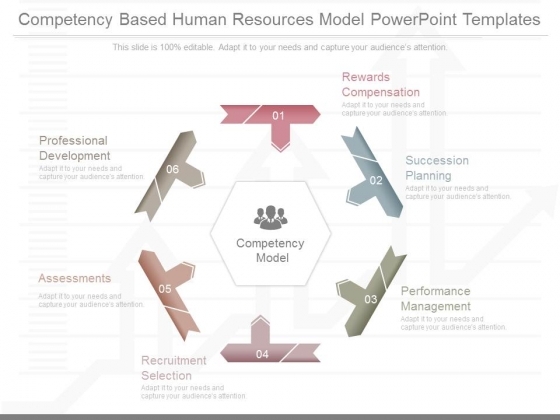 This is a competency based human resources model powerpoint templates. This is a six stage process. The stages in this process are competency model, professional development, assessments, recruitment selection, performance management, succession planning, rewards compensation. Browse through our collection. Our Competency Based Human Resources Model Powerpoint Templates offer you the widest possible range of options. This is a organizational leadership for executives example ppt slides. This is a four stage process. The stages in this process are executive coaching, leadership development, change management, performance management, cultural competence. 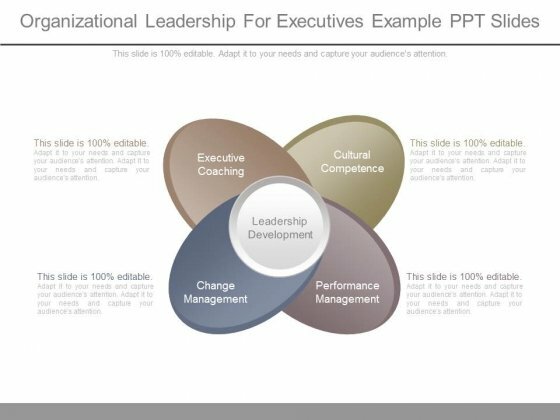 Achieve strong & sustainable profit gains with our Organizational Leadership For Executives Example Ppt Slides. They will make you look good. This is a sample of sustained behavioral change ppt slides show. This is a five stage process. The stages in this process are training, remuneration, culture, consequence management, performance management, skill, attitude, behavior. 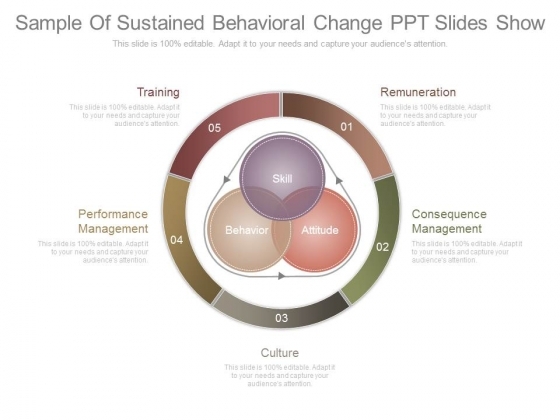 Bathe in bliss with our Sample Of Sustained Behavioral Change Ppt Slides Show. Cleanse your thoughts of all confusion. This is a enterprise competency powerpoint slide images. This is a three stage process. The stages in this process are strategy, competency model, compensation, succession planning, performance management, staffing. 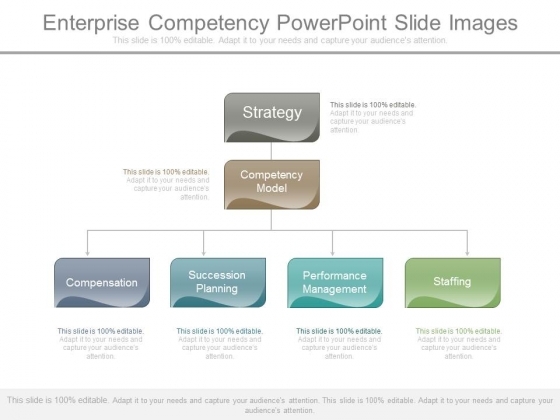 Impress your organization with our Enterprise Competency Powerpoint Slide Images. Make sure your presentation gets the attention it deserves. 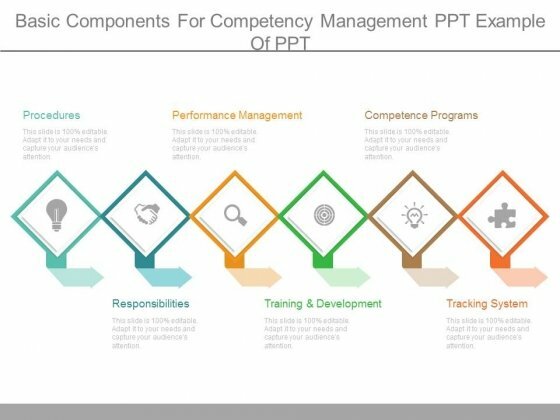 This is a basic components for competency management ppt example of ppt. This is a six stage process. The stages in this process are procedures, performance management, competence programs, responsibilities, training and development, tracking system. Our Basic Components For Competency Management Ppt Example Of Ppt can be bewitching. Put your audience under your spell. This is a workforce performance culture example presentation ideas. This is a twelve stage process. The stages in this process are leadership development, performance management, employee engagement, personal credibility, hr delivery, hr technology, strategic contribution, measure and evaluate, talent management, performance culture, succession planning, business knowledge. Our Workforce Performance Culture Example Presentation Ideas are essential to your well being. Their application will calm the nerves. This is a performance appraisal process diagram powerpoint slide ideas. This is a seven stage process. The stages in this process are plan, reward, set goals, annual review, informal feedback, performance management, reward and remuneration. 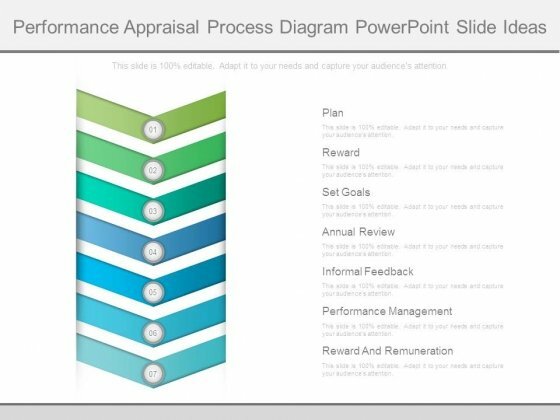 Force out your enemies with our Performance Appraisal Process Diagram Powerpoint Slide Ideas. Just download, type and present. This is a talent acquirement procedure diagram ppt ideas. This is a six stage process. The stages in this process are business plan, critical skills gap analysis, performance management, workforce planning, onboarding, recruiting. Dance to success with our Talent Acquirement Procedure Diagram Ppt Ideas. You will come out on top. 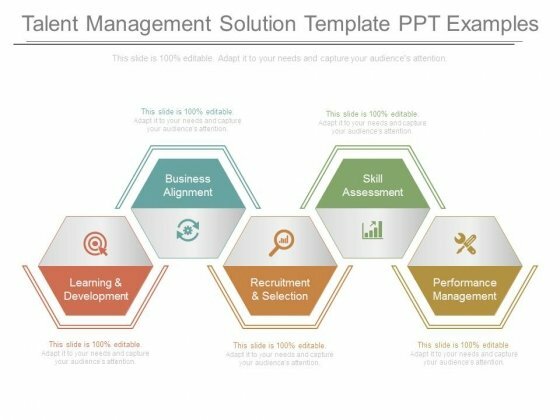 This is a talent management solution template ppt examples. This is a five stage process. The stages in this process are learning and development, business alignment, recruitment and selection, skill assessment, performance management. 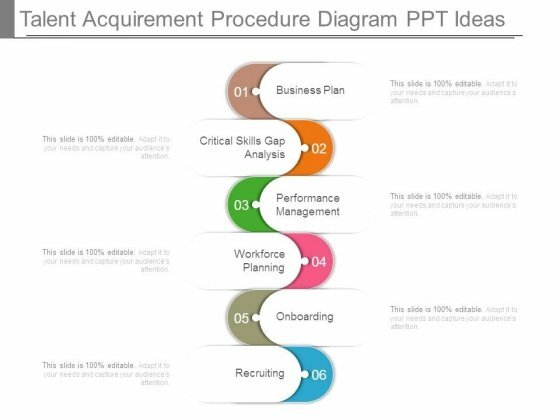 Dare to dream with our Talent Management Solution Template Ppt Examples. You will come out on top. This is a performance management human resource ppt examples. This is a five stage process. The stages in this process are selection and induction, performance management, training and development, behaviors, competencies. 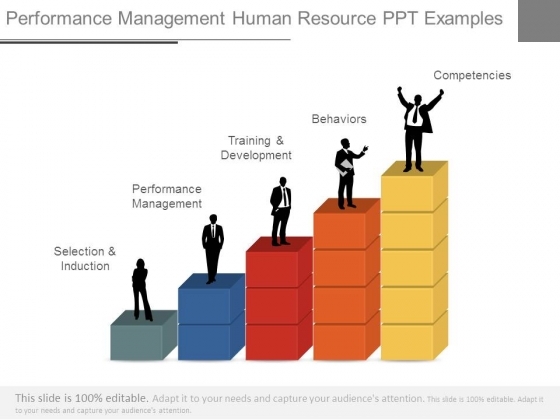 Attempt great targets with our Performance Management Human Resource Ppt Examples. You will come out on top. 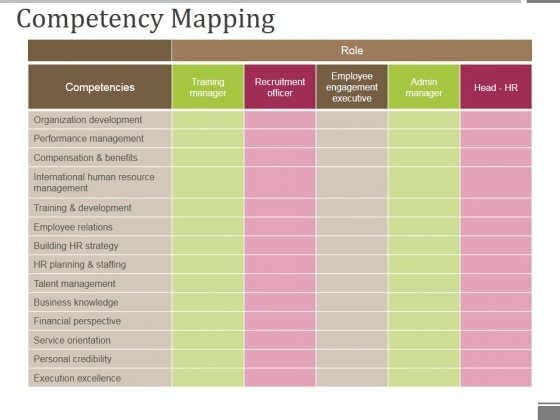 This is a competency mapping ppt powerpoint presentation slides gridlines. This is a five stage process. The stages in this process are performance management, compensation and benefits, organization development, international human resource management, employee relations. Find the right words to convey your ideas. Get it exact with our Competency Mapping Ppt PowerPoint Presentation Slides Gridlines. This is a gap closing strategies ppt powerpoint presentation outline show. This is a seven stage process. The stages in this process are competency model, selection, professional development, succession, performance management, retention. Collect the facts together on our Gap Closing Strategies Ppt PowerPoint Presentation Outline Show. Draw your conclusions with comparative ease. Drink To The Success Of Your Campaign. 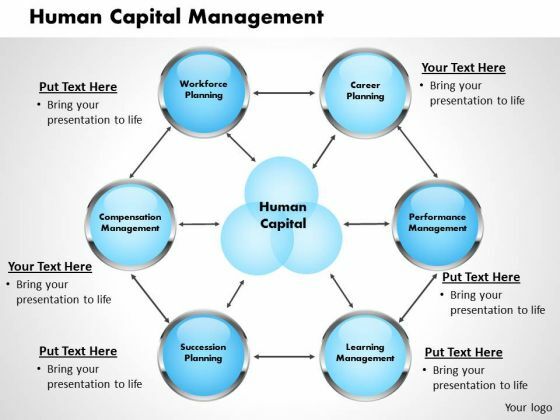 Our Human Capital Management Business Powerpoint Presentation Powerpoint Templates Will Raise A Toast. This Power Point diagram slide has been crafted with graphic of business ecosystem. This diagram slide contains the three level ecosystem. Use this PPT in your business related presentation. This is a development program example of ppt presentation. This is a five stage process. The stages in this process are development program, performance management, managed service, kip dashboard, managed service. Regain control with our Development Program Example Of Ppt Presentation. Download without worries with our money back guaranteee. This is a value of performance management diagram powerpoint images. This is a eight stage process. 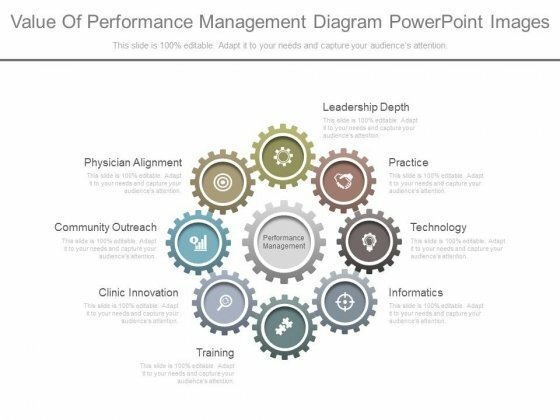 The stages in this process are physician alignment, community outreach, clinic innovation, training, leadership depth, practice, technology, informatics, performance management. 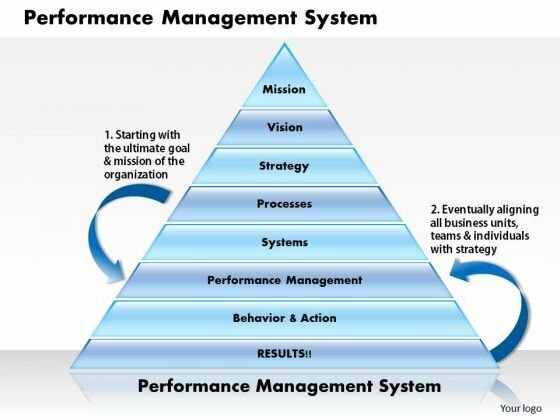 Cue in your thoughts with our Value Of Performance Management Diagram Powerpoint Images. They will make a deadly combination. This is a sales efficiency improvement ppt slides. This is a eight stage process. The stages in this process are strategy, repeat, follow up, improve, measure, align, monitor, performance management. 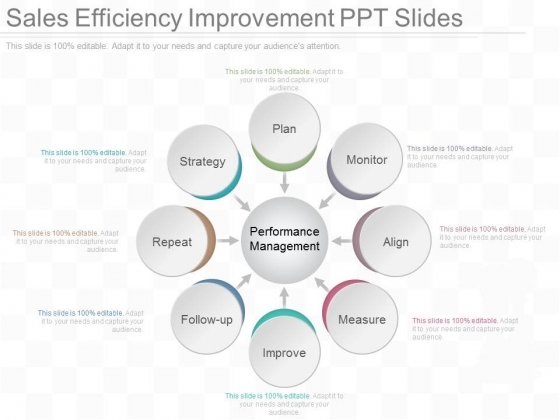 Our Sales Efficiency Improvement Ppt Slides will be your best buy. The value of your thoughts will definitely appreciate. This is a sales improvement strategy diagram ppt presentation. This is a four stage process. The stages in this process are successful selling practices, sales leadership, corporate account planning, performance management. 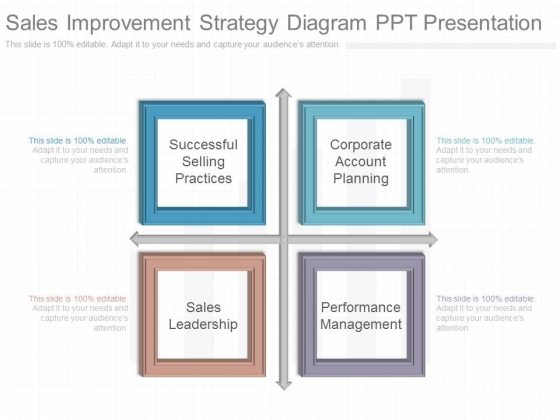 Our Sales Improvement Strategy Diagram Ppt Presentation are destined to meet your standards. They conform to your exacting demands. This is a cost reduction strategy ppt presentation backgrounds. This is a seven stage process. The stages in this process are people and culture, knowledge management, performance management, idea validation and implementation, idea generation, organization structure and governance, strategic objectives. Our Cost Reduction Strategy Ppt Presentation Backgrounds will channel your creativity. They place your ideas at the forefront. 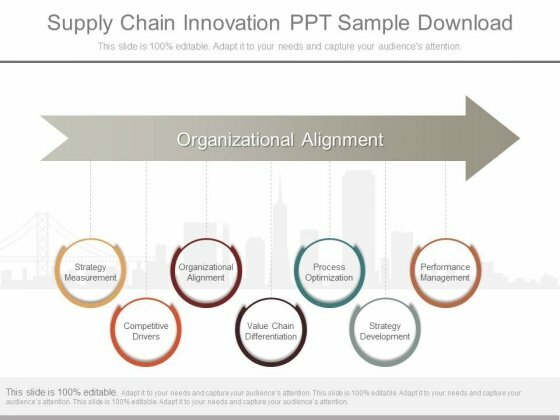 This is a supply chain innovation ppt sample download. This is a seven stage process. The stages in this process are strategy measurement, competitive drivers, organizational alignment, value chain differentiation, process optimization, strategy development, performance management. Award yourself with our Supply Chain Innovation Ppt Sample Download. You deserve to deal with the best. This is a core competence strategy diagram images. This is a six stage process. The stages in this process are talent renewal, performance management, performance enhancement, professional development, skill upgrading, knowledge renewal. Achieve more with our Core Competence Strategy Diagram Images. Your ideas will exceed your dreams. This is a data integrator designer model powerpoint slide information. This is a three stage process. The stages in this process are reporting, query and analysis, performance management, analytic application, information infrastructure. 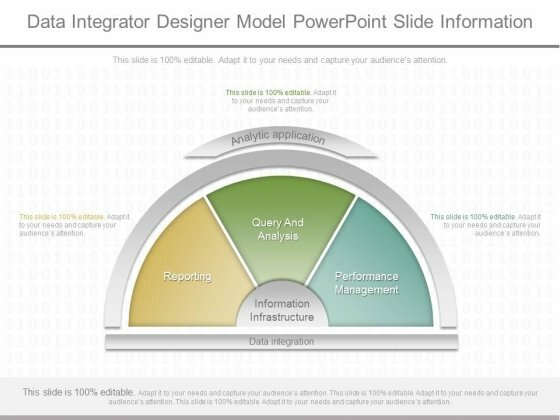 Take control with our Data Integrator Designer Model Powerpoint Slide Information. Do not be fatalistic in your approach.